Automatic Tool Post - 1 no. Every machine in our warehouse in a genuine import machine. At the time of procuring the aforementioned machines, we make sure that these are functioning properly. 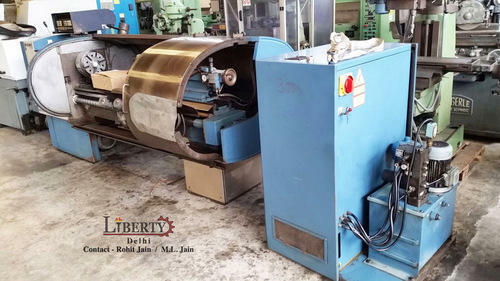 All our machines are in excellent working condition & can be checked under power in our warehouse in Mundka, Delhi. Apart from the machinery import business, the company is also involved in manufacturing & trading of Rolling Mill Machinery, Rolls for Rolling Mill Forging Items. The company has the presence in major steel towns of India – Mandi Gobindgarh, Ghaziabad & Raipur. The head office & warehouse is located in New Delhi.